RAPID CITY, S.D. 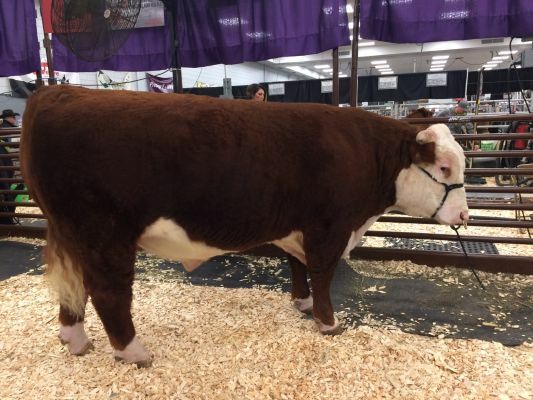 - Wednesday' s highlighted cattle breed at the Black Hills Stock Show was Hereford. The champion Hereford, K ROCK 707 ET, sold for $12,000, and consigned by Sage Krebs of Gordon, Nebraska. The second top selling Herford bull fetched $10,500. In all, 38 Hereford bulls sold for $144,000, at an average of $3,789.47. Five yearling heifers sold for $16,500, with the top selling heifer fetching $5,750. Three bred heifers also sold for $17,500.